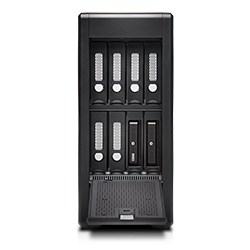 A transportable 8-bay hardware RAID solution with Thunderbolt 3 technology offering content creators colossal capacity and high-powered performance. 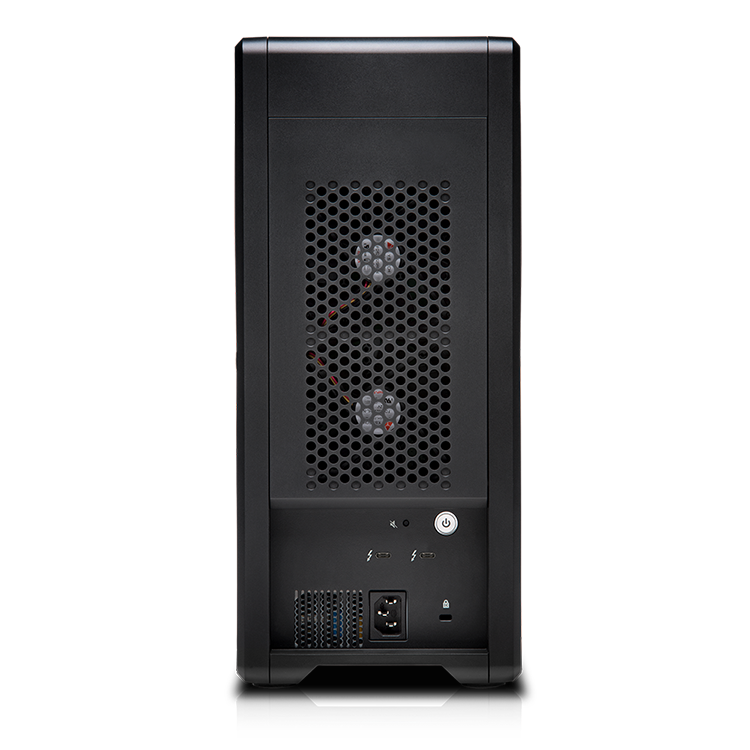 Supports multi-stream 4K, 8K and VR workflows, RAID 0, 1, 5, 6 and 10 configurations1, and provides transfer rates up to 1500MB/s2. 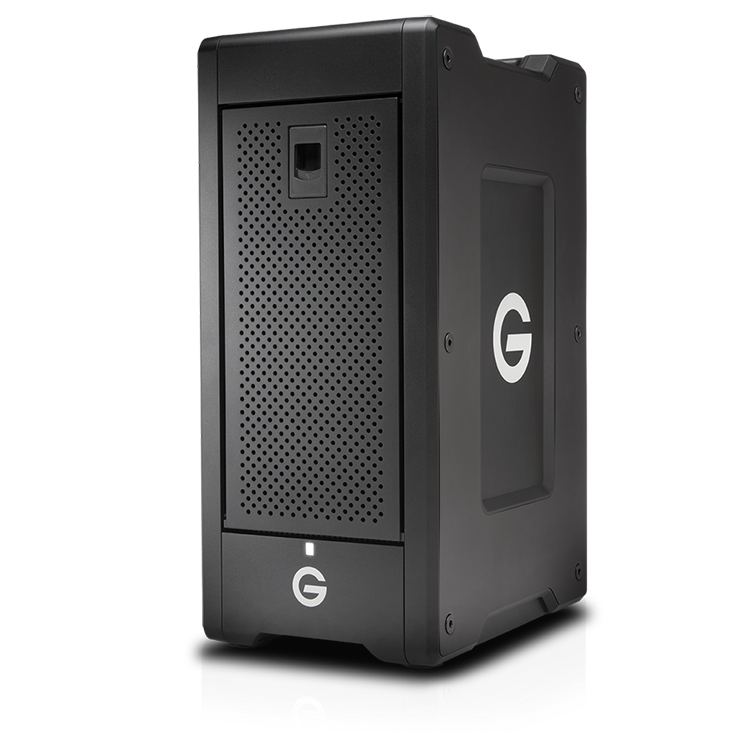 Designed with two (2) ev Series bay adapters for use with ev Series drive modules and ev Series readers. Along with Enterprise-class hard drives for enhanced reliability and a trusted 5-year limited warranty, the G-SPEED Shuttle XL with ev Series Bay Adapters is the ultimate storage solution for demanding video workflows on location and in the studio. 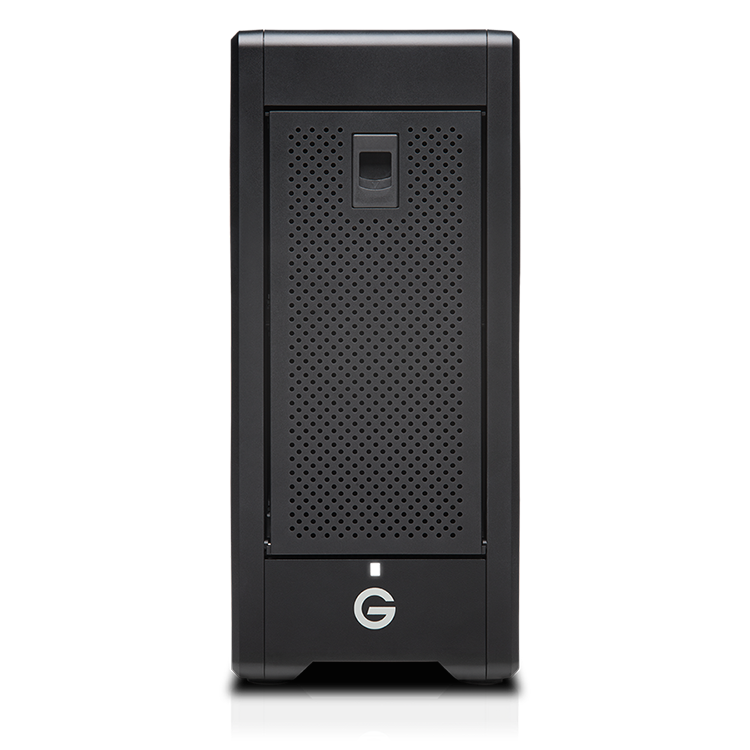 2 As used for transfer rate, megabyte per second (MB/s) = one million bytes per second. 3 Compatible with Thunderbolt 2 and Thunderbolt 1 connections, requires an optional adapter. 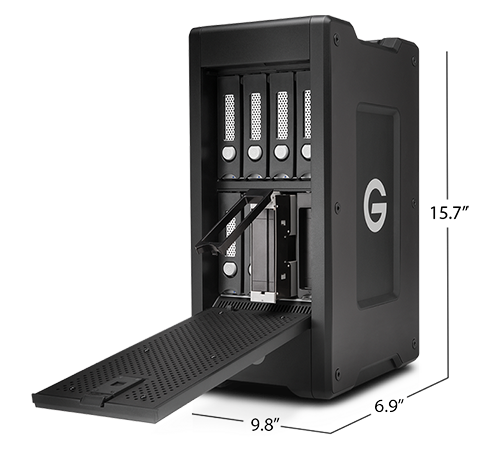 4 As used for interface rate, gigabit per second (Gb/s) = one billion bits per second. 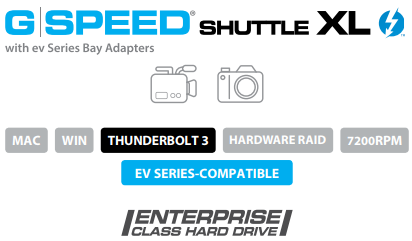 With transfer rates up to 1500MB/s, the G-SPEED Shuttle XL Thunderbolt 3 with ev Series bay adapters device delivers the performance you need to quickly ingest content and natively edit footage to make changes in real-time. 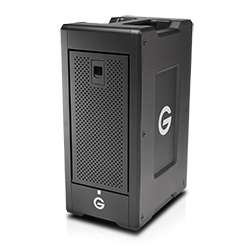 Built for easy travel between your on-site production location and to the studio for post-production, the G-SPEED Shuttle XL Thunderbolt 3 with ev Series bay adapters device delivers powerful, transportable storage to help improve your workflow efficiency, wherever you are. 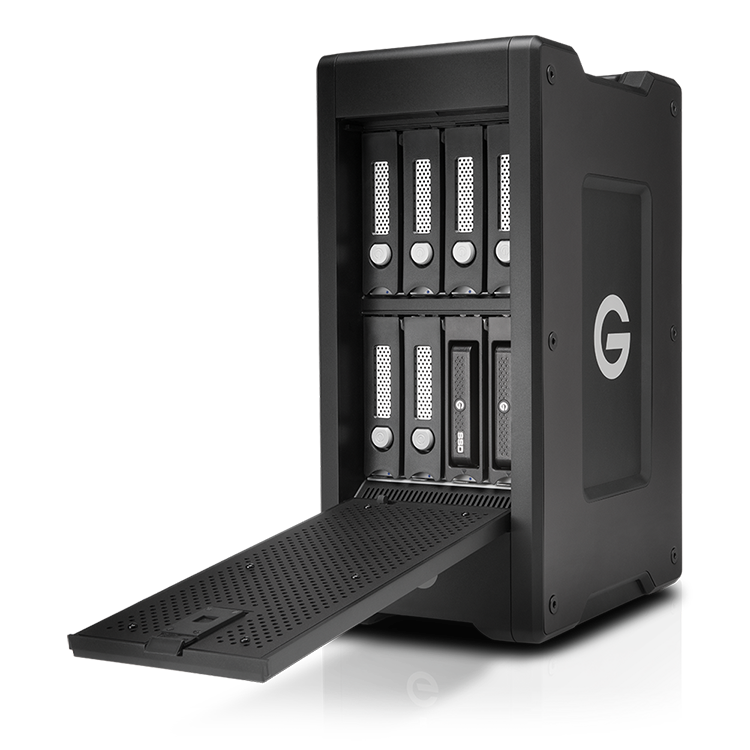 Built for multi-stream 4K and 8K production workflows, the G-SPEED Shuttle XL Thunderbolt 3 with ev Series bay adapters device offers the bandwidth to support multi camera editing in real time, render footage with multi-layer effects, and quickly export in an efficient workflow. 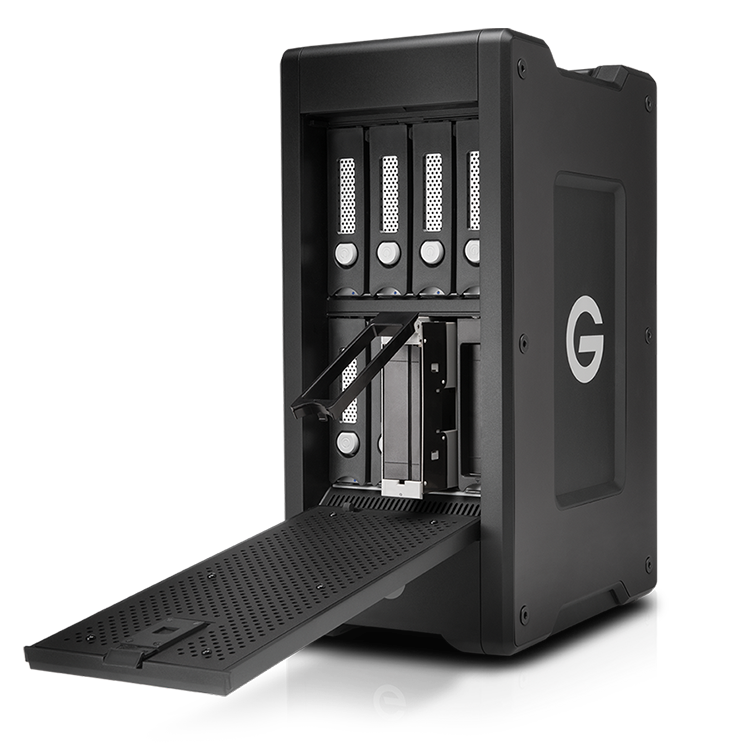 For maximum performance, the G-SPEED Shuttle XL with ev Series bay adapters device comes in RAID 5 out of the box and supports RAID 0,1, 5, 6, 10 and 50 to provide a versatile and flexible storage solution. 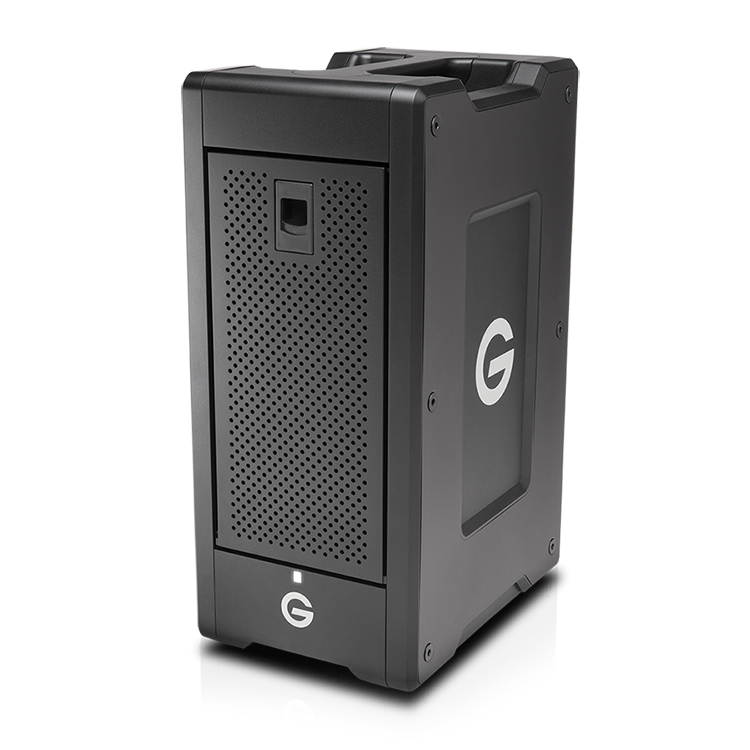 G-SPEED Shuttle XL with ev Series bay adapters is backed by a standard 5-year limited warranty and unlimited free technical support by representatives experienced with the latest content creation applications.